Rugby can be a bit slow at times. 57 years. That is the time it took from first FIFA World Cup held in Uruguay (1930), and introduction of the inaugural Rugby World Cup (Rugby World Cup) held in New Zealand (1987). When it happened, the game grew to levels never before seen. The other great sporting championship in World Rugby is yet to exist. In Europe, the Heineken Champions Cup (also known as the European Rugby Champions Cup) consists of six rounds followed by quarter-finals, a Semi Final and the Championship match. 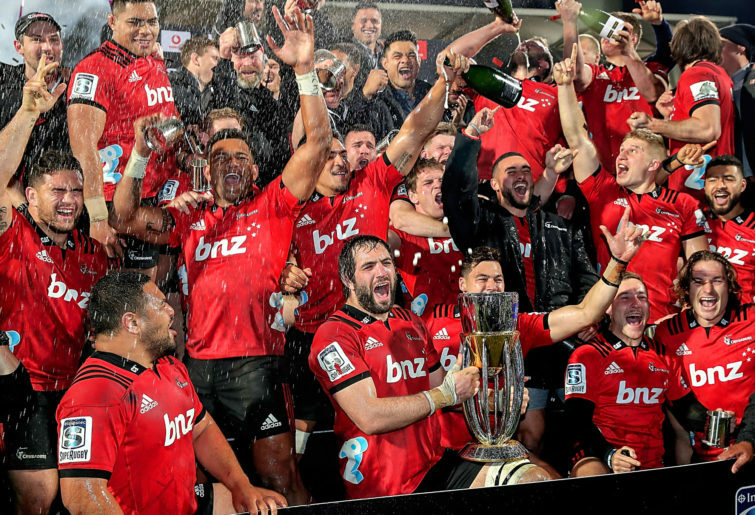 On the other side of the planet, Super Rugby in 2018 consisted of 21 rounds, followed by quarter-finals, a Semi Final and the Super Rugby Championship. There are 15 provincial teams from Australia (4 teams), New Zealand (5 teams), South Africa (4 teams), Japan (1 team) and Argentina (1 team). So how do we bring these teams together for a block buster, rugby extravaganza, which for now, we will call the World Super Rugby Championship (WSRC), but could just as easily be called the Heineken World Super Rugby Championship? First, the year. Ideally this would be held in the lull between the Rugby World Cups. After 2019, the next Rugby World Cup is in France 2023. With 2021 as the inaugural tournament, then held again in 2025, 2029 and so on. Second, the time of year. A problem with past suggestions for European Rugby champions v Super Rugby champions was player fatigue, they already have a grueling playing and travel schedule. To address this, the Heineken Champions Cup would be modified in 2021 and form the foundation of what could be the Heineken World Super Rugby Championship. Likewise in 2021, Super Rugby could be condensed from 21 weeks, to 15 weeks with the Minor Premier being awarded the trophy. With a stroke of the pen, a door in the rugby calendar suddenly opens. Third, the teams. Super Rugby has 15 provincial teams. The Pro14, 14 provincial teams. Only France and England would arguably be considered to be club based competitions. A provincial system is the logical choice internationally. For the WSRC, 32 team Provinces or State teams would be granted entry. Here is a conceptual suggestion of 32 teams based on World Cup performances, country population and current number of provincial teams. Teams are broken up into regions of eight teams which are needed to make the pools work, this is why South Africa has six teams. Fourth, to maintain the integrity of the competition, the WSRC like the Rugby World Cup needs to have players playing for their own country. If the WSRC takes off, and player payments sky rocket, only a handful of the 32 teams would ever be a genuine chance of taking the title. Think Manchester United, Manchester City, Liverpool, Real Madrid, Barcelona. In rugby, the cashed up clubs will likely come from England and France. The Pro14 and Super Rugby teams will be the ones to suffer from the player drain and consequential lower standards of provincial competition and long term. Celtic fans from Ireland and Scotland in particular will get this. Both countries association football teams are excluded from the English Premiere League, which means their best players play for English clubs who Irish and Scottish fans supported by de facto. Whilst being a big fan our Irish and Scottish brothers and sisters, got to say, sorry you lost out on that one. This model seeks to do one better than football and strike a balance. The beauty of the Rugby World Cup player distribution rules approach for a short but high profile period, means a lot things. The profile and quality of rugby talent around the world is on show on a global stage, twice! 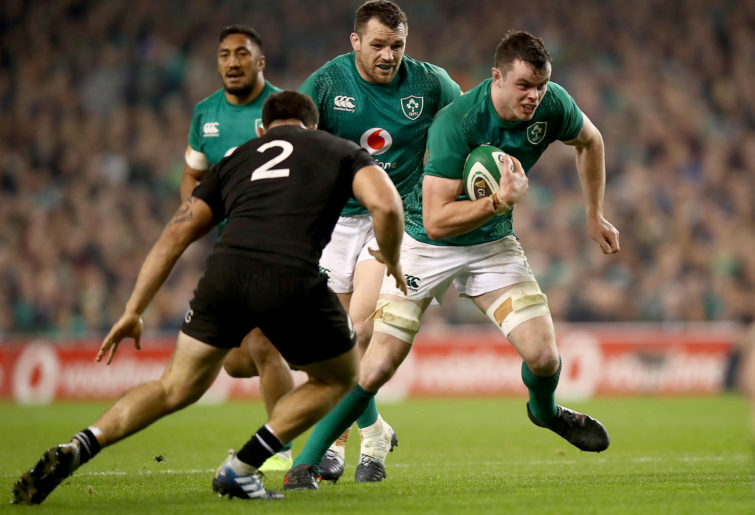 The two world events, Rugby World Cup and WSRC would increase players profile if they perform, and offer them multiple seasons to cash up with lucrative contracts. Players have the opportunity to play for their home regions for several weeks. Provincial unions have a chance each year to showcase their best local home grown talent, fill stadiums and inspire the next generation. Provincial teams stand to become global brands, backed by locally developed players. This brand opportunity should should not be underestimated by the English and French clubs. For many existing provinces nothing needs to be done. The highly successful Queensland v New South Wales rugby league State of Origin is interesting, and could, for some provinces, provide something of a template. That said, countries can make up their own minds around player distribution within their own countries. The only global rule will be rules Rugby World Cup player distribution. For England and France, the game is centred around club teams. Here the Wales model could be adopted whereby the four Welsh teams represent the four Welsh rugby union Regions of Wales. The way I see it, England has eight regions, six regions have Premiership Rugby teams. At the moment, this could be rationalised into five Provinces. Entry to the WRPC from Premiership Rugby would be awarded to the top club from each English Province. Four in total. Yes, club teams would lose their international players during the Championship due to Rugby World Cup rules, but they would be more than compensated by being entitled to pick there fellow countrymen from within their region. For instance, should Bath qualify, Bath would play as Bath in Bath colours, however their playing pool would increase and they would pick players from Bath, Bristol, Exeter and Gloucester. A mutual deal would need to be struck between Bath, Bistol, Exeter and Gloucester to release players at the end of the season to play for the pools leading team in the WSRC. Likewise Wasps and Worcester would strike a deal. Leicester and Northhampton, Wasps and Worcester, Sale and Newcastle. It would be in all clubs best interests to strike the deal. The saying ‘cutting of your nose to spite your face’ comes to mind should clubs choose to reduce their player base at Provincial level. They will simply bow out of the WSRC early should they make it. The same approach could be adopted by France who would field three teams. At the end of the day, the English rugby union and French rugby union would determine what they want to do and what is in their own best interest. Fifth the format. Four pools of eight teams. Top two teams advance to knockout. First three games are in home region for all teams (except Japan/Argentina’s). Next three games, teams either are hosts or tour to Europe, Oceania or South Africa. Ideally with eight teams, there would be seven pool games, however with a short six week window mirroring the European Champions Cup schedule, six pool games is logical, for now. Each year the tournament is held, there would be rotation of teams who tour and team who host. The only exception would be Argentina and Japan, who, due to geographic isolation, would always be touring teams, meaning South African teams would tour less and have more pool home games. After the pool games, the top eight qualifiers would enter the knockout phase: quarter-final, Semi Final followed by the Championship match. The host for the finals would rotate each WSRC between Europe and Oceania, noting South Africa has already been advantaged with six teams and extra pool matches. As a carrot to establish four Provincial teams in England, England would host the first WSRC final. The following WSRC, Super Rugby powerhouse New Zealand would host the final. 2019 European Rugby Champions Cup. Super Rugby. Rugby World Cup – Japan. 2020 European Rugby Champions Cup. Super Rugby. 2022 European Rugby Champions Cup. Super Rugby. 2023 European Rugby Champions Cup. Super Rugby. Rugby World Cup – France. 2024 European Rugby Champions Cup. Super Rugby. 2026 European Rugby Champions Cup. Super Rugby. 2027 European Rugby Champions Cup. Super Rugby. Rugby World Cup. For Europe, this means they are always hosting the finals of the Rugby World Cup and WSRC every few years. Well there it is folks. A system that could come to pass. Now it becomes a game of negotiation, finessing and will power. Spread the word to your European mates. Facebook. Twitter. Bumper stickers. What do you think, could this be up and running in less than 57 years? What are the challenges, and how could the challenges be overcome? Is there a better way to make this work that doesn’t undermine local rugby union provinces? That has been a guiding principal of this article. And who would win out of our champs, Leinster or Crusaders?